New Blistex Products & GIVEAWAY!! Time for a holiday giveaway! I am a huge fan of Blistex products and they never cease to amaze me with the products they come out with to keep your lips moisturized. Just in time for the cold season, Blistex is rolling out two new lip balms, Moisture Melt and Simple and Sensitive! · Blistex Moisture Melt is a super hydrating balm with shea butter and aloe-enriched soft beads that are suspended in the formula and melt into lips for an added moisturizing boost and long-lasting resistance to dryness. The formula is infused with rich moisturizers and a proven skin protectant, perfect for keeping your pout healthy all winter long. · Blistex Simple and Sensitive contains only six carefully selected ingredients, including cocoa butter, sunflower seed oil, jojoba, vitamin E, microcrystalline wax and a preservative (phenoxyethanol), making it perfect for those with sensitive skin. Lip balm users who are conscious about the number of ingredients in their personal care products will also enjoy Simple and Sensitive. So which one is for you? Why not try them both? With a retail price of $1.59-$2.49, these lip balms are now available at drug stores, supermarkets and mass merchandisers nationwide. I’m giving away 3 sets of the Blistex Moisture Melt and Simple and Sensitive lip balm to some lucky readers! Leave a comment below and the winners will be selected next Sunday, December 9th! Have you ever seen people applying lip balm in a sphere shape device and unsure of what it was? I thought that way too and now I know it’s eos! Available in 6 flavors and contained in colorful spheres, this round applicator gives you full coverage. It’s an organic lip balm that is 100% natural, paraben and petrolatum free. Key ingredients include jojoba oil, shea butter and Vitamin E, which provide long-lasting moisture, soft lips and anti-oxidant protection. I tried the Sweet Mint flavor which is a very inviting and calming flavor to apply in the morning and throughout the day! It’s easy to locate in my purse and it’s a twist off cap that snaps back into place securely. Named “the lip balm that makes you smile”, I definitely want to try the other flavors and keep one at work, home and in the car! I do a lot of typing, multi-tasking and paper handling in any given day which makes my hands dry. A lotion that will keep my hands hydrated and soft is what I need to get me through the day and eos everyday hand lotion does the trick! Infused with aloe, oat extract, shea butter and Vitamin E&C, this has the key ingredients to nourish my hands and keep them moisturized long after I apply it. Available in 3 scents with a flat pebble shape, the cucumber hand lotion has a sweet smell and fits easily in my pocket, purse or desk. Since I’m a woman on the go, I always keep it in my car and then apply at a red light. When it changes to green I am ready to roll! Eos also makes shaving cream, body lotion and a lip balm stick. All products are sold at major retailers such as Walgreens, Rite Aid, Target and Walmart. 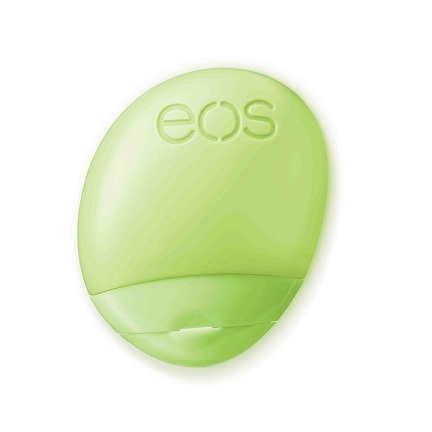 If you’re a fan of eos or will try one of their products, share your comments below! I love moisturizing my hands and keeping them hydrated. I use a variety of products, but I was excited to see that Blistex now has a new line of hand creams! Blistex, known for excellence in lip care, has launched a new product line intended to deliver the same high level of care and comfort to hands. 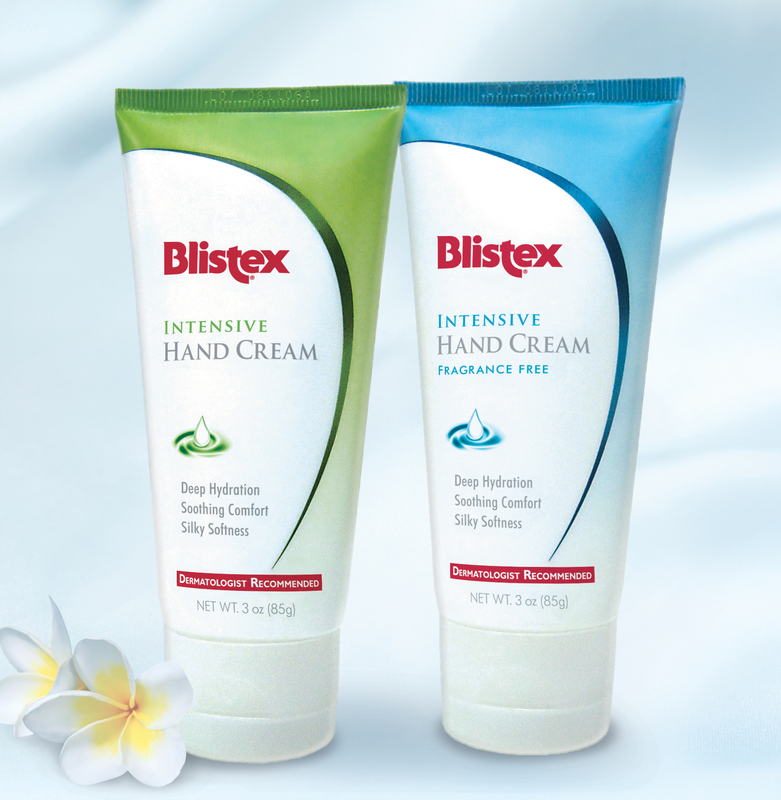 Blistex Intensive Hand Cream is a glycerin-rich formula that requires only a small application to provide a smooth feel and healthy appearance to even the driest skin. This new hand cream is available in scented and fragrance-free versions. Blistex Intensive Hand Cream can be used every day, but its effects are immediately noticeable with even a single use, providing comfort and a silky feel for hours after application. Its concentrated formula delivers great results when you apply just a small amount, and makes it very effective on other trouble skin areas like elbows and knees. I got to try out this new hand cream on the scene and I must say a little does go a long way! I just dab a little in the middle of my hand and that covers my whole hand completely, and leaves a light refreshing scent. I don’t have to reapply until I wash my hands again, so it’s long lasting for those who use their hands a lot. Also, it’s small enough to fit in my purse and it’s a great staple to stash one in your car! It does the trick in a time of need because this became my go-to for my knees and elbows when I had to glam up for a last-minute event out of my trunk! For now, Blistex Intensive Hand Cream is available only at Walmart (1500 locations), where at $2.87 for a 3-ounce tube, it is priced to deliver an excellent value compared to most other hand cream products in the category today, a value made even better by the fact that just a dab delivers a major dose of comfort, hydration, and protection. Giveaway Time! – I have 2 sets of the Blistex hand cream to give away, so leave a comment below stating why you like to keep your hands moisturized and I’ll select 3 winners on Saturday!